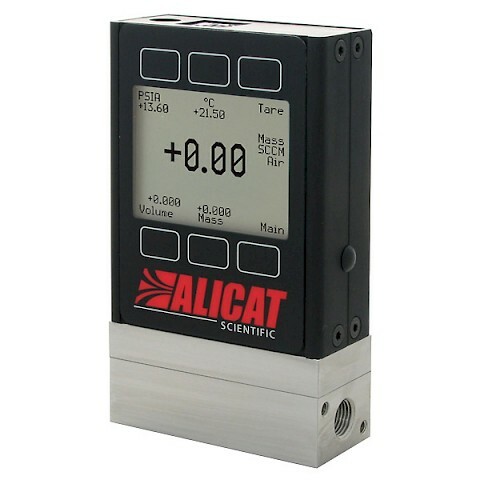 Alicat MW Whisper Series mass flow meters monitor you mass flow with minimal pressure drop in your process. Pressure drops are as low as 4 mbar at full scale flow rates, meaning they can operate and near atmospheric pressures or on just a whisper! The mass flow meter is repeatable and accurate with calibrations up to +/- 0.4% of reading accuracy. 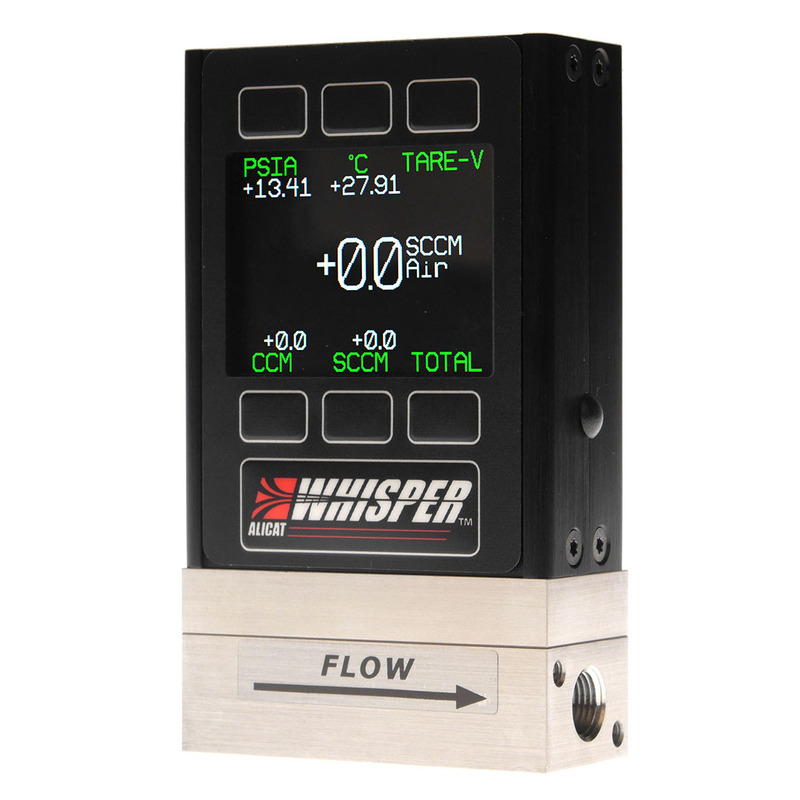 Every Whisper device has a 200:1 turndown ratio with flow rates starting from 2.5 microliters per minute up to 500 SLPM. 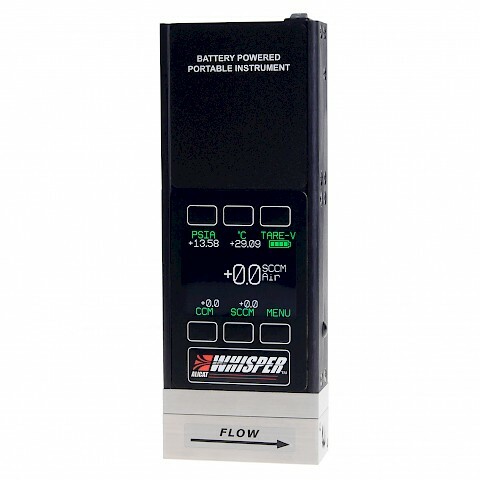 The mass flow meter can be used as a standalone meter with the use of local display and push button keypad, the local display allows the user to see all flow data visible on one screen (mass flow, volumetric flow, absolute pressure, temperature). 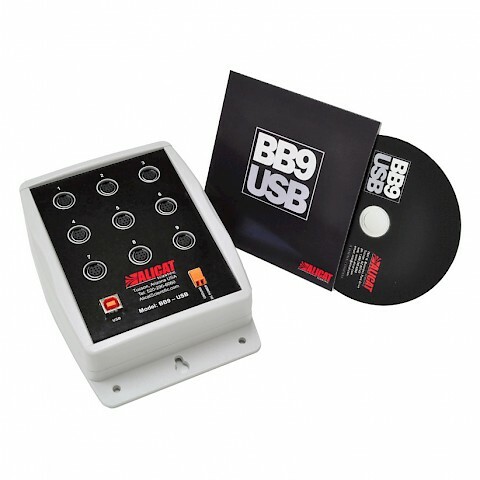 RS-232 communications are standard as well as an analogue output signal such as 4 – 20 mA. 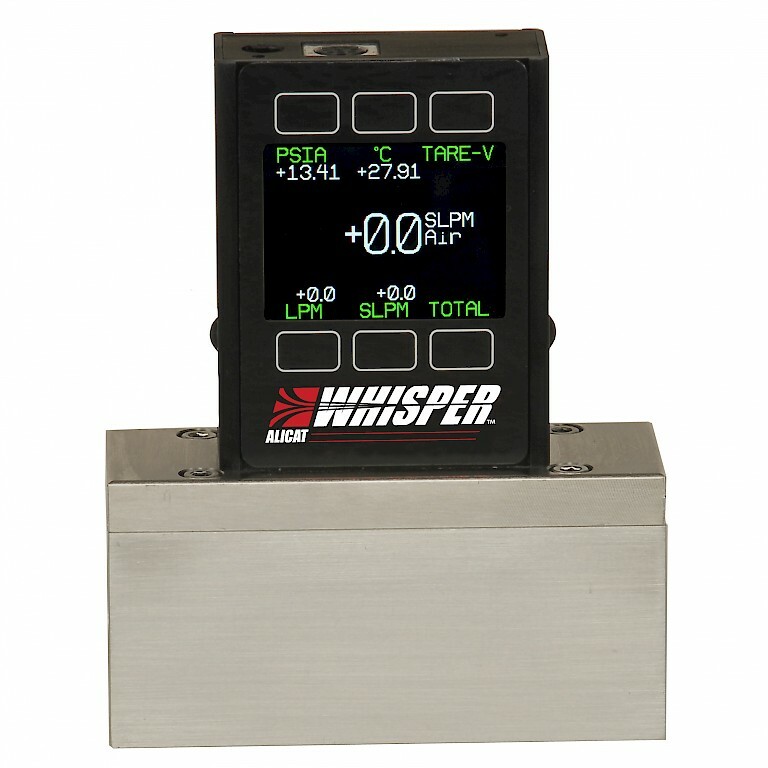 Whisper series can also offer a secondary analogue output for flow, pressure or temperature. MW Whisper series mass flow meters have a maximum operating pressure of 45 PSIG.